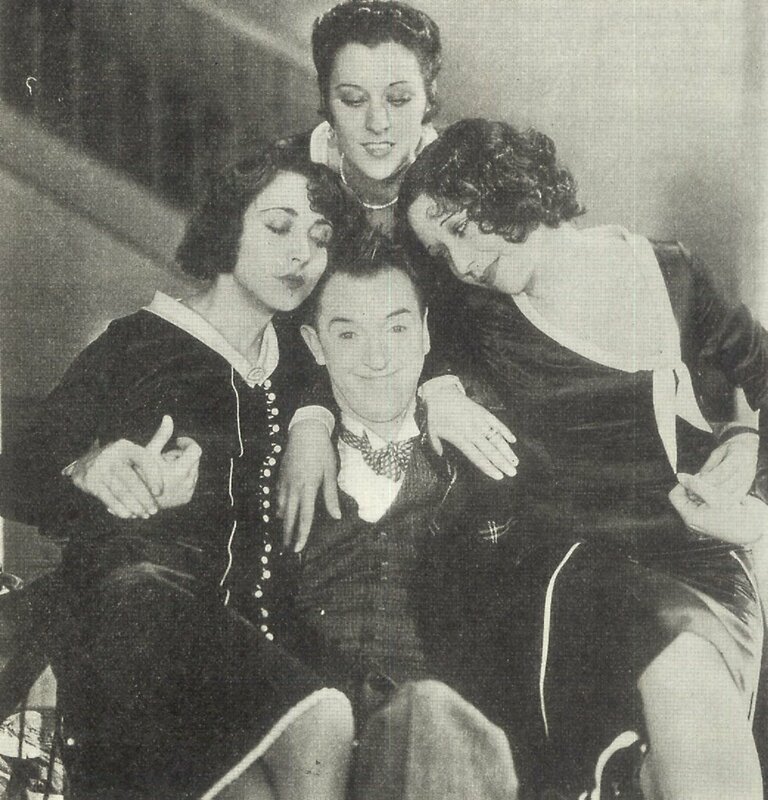 Stan Laurel Would Be 116! Ever speculate as to what it might have been like to meet some of the great screen legends in their twilight years? Sometimes I’ll imagine a childhood encounter with one of my favorites. It’s 1965, I'm 11 at the time, and someone takes me to the location where Boris Karloff is shooting Die, Monster, Die (in England, yet! ), or maybe I’m one of those kids in the rail car getting an autograph during the filming of Buster Keaton Rides Again. 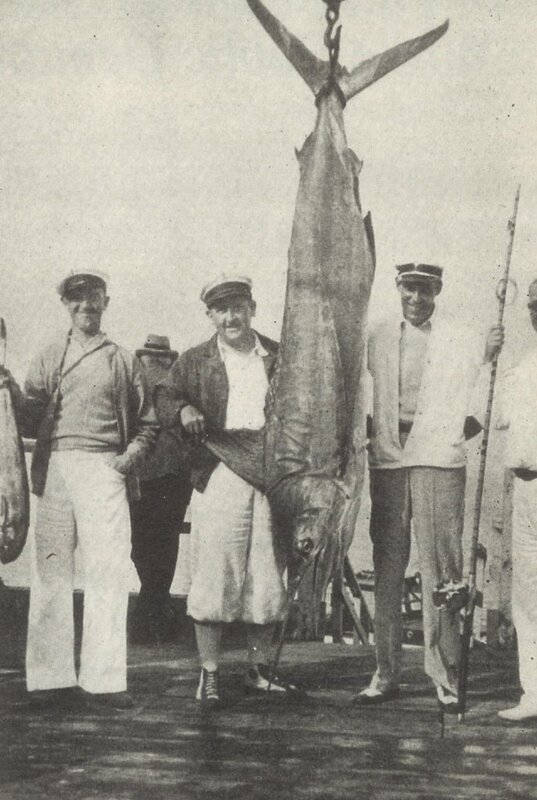 Karloff would have been great --- that much we know from accounts of those who did meet him. Buster polite, but a little more distracted. Visitors usually found him absorbed in the television or his electric trains. Not the chatty sort, nor given to small talk. But Stan Laurel. That’s something else again. He was totally accessible in retirement. Had a listed phone number. I knew one guy that lived in L.A. during the early sixties who used to take the bus on Saturdays into Santa Monica so he could visit Stan. He was a kid then too. Their conversations usually revolved around my friend’s barrage of questions --- very specific questions --- about films Stan had made over thirty years before. Don once showed up at Stan’s Oceana Hotel apartment after seeing Another Fine Mess on TV and asked where they filmed that tunnel scene at the very end. Stan told him exactly where. His memory as to those details was faultless. During one of the visits, there was a knock at the door --- it was Buster Keaton (hope Stan kept smelling salts --- I would have needed them!). Another friend, Lou Sabini, talked to Stan on the telephone during Christmas week of 1964. That would have beat the hell out of Santa Claus for me. Lou was twelve at the time. He wrote to Stan, and Stan wrote back. They corresponded for several years. Mr. Laurel congratulated Lou on his first 16mm projector. Everything I’ve read and heard about this man is positive. Nothing but glowing accounts. He always answered his fan mail --- personally. There had to be times when he wasn’t in the mood, but he never let those fans down. Stan’s 116th birthday month seemed like a good time to post a few images I’ve not seen elsewhere. These were taken during the 1929-30 season. Those guys just home from a fishing expedition include, left to right, Stan Laurel, director James Parrott (Charley Chase’s brother), Eddie Dunn (identified as a "gagman"), and "well-known sportsman" Tom Andicott (he must have been the Bogartian To Have and Have Not angling guide type). 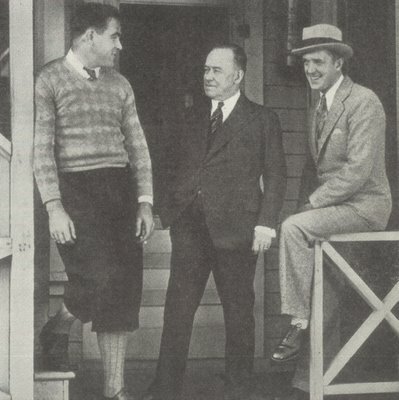 Next there is Stan with Hal Roach and new studio employee Fred Karno (center) who had once been Laurel’s boss back in England (Chaplin’s too). Fred didn’t work out at Roach. He’d be gone within a few months. Finally, there are the three Blotto wives with Stan. Georgette Rhodes (left) appeared with him in the French version, Anita Garvin (center) was the one we know best --- she did the English language edition, and Linda Loredo (right) filled in for the Spanish role. Stan and Babe got to make Blotto three times, speaking phonetically in languages they weren’t otherwise conversant in, though you wouldn’t necessarily know it from watching those foreign versions that do survive. Still the greatest comedian ever. Tied with Ollie, of course. My Dad, now gone, was another who was a pen pal of Stan's. I have dozens of letters, typed with the familiar blue ribbon, he even sent his 16mm copy of the L&H "This is Your Life" show so we could have it copied! He was a kind and generous man, and never refused to answer questions he must have answered hundreds of times before. My Dad never made it to California to visit Stan, but a friend was going on business, and took our movie camera. Stan happily posed for home movies for us! All this, and the happy hours he gave us through his films with Ollie...he will never be forgotten. One of the other people who had a correspondence with Laurel was Bobby London, the cartoonist who did Dirty Duck--and Popeye.